Wild-caught Great Lakes Whitefish brined with salt, brown sugar, and spices to accent their subtle flavor. Smoked over hickory wood, then pulled into big meaty chunks and mixed with mayonnaise and seasonings by hand. Delicious on a bagel or crackers. 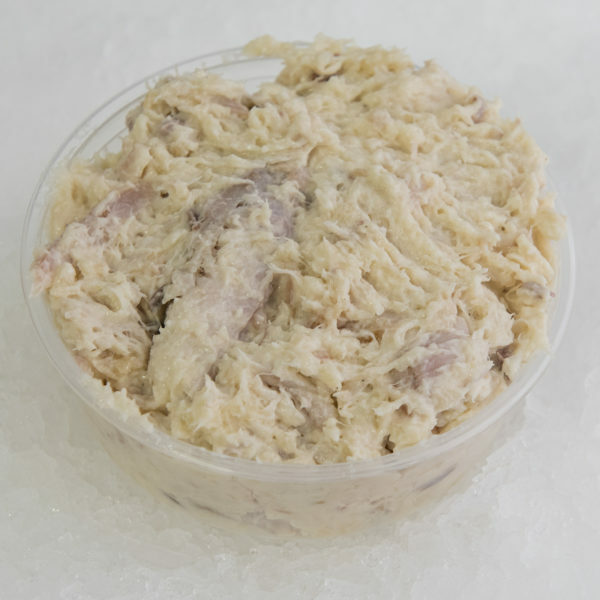 We selectively source only the plumpest 100 percent wild- caught Great Lakes white fish, and simply and sensibly brine with salt, brown sugar, subtle spices to accent the rich flavor of these hand selected wild fish. We then hot-smoke with distinct American hardwoods to complement the buttery flavor of this Great Lakes catch. Wild Whitefish are one of the few native species that contain a high enough oil content to be properly smoked using traditional methods, the oils in this fish are unsaturated and contain healthy essential omega-3’s, Vitamin-D and potassium. 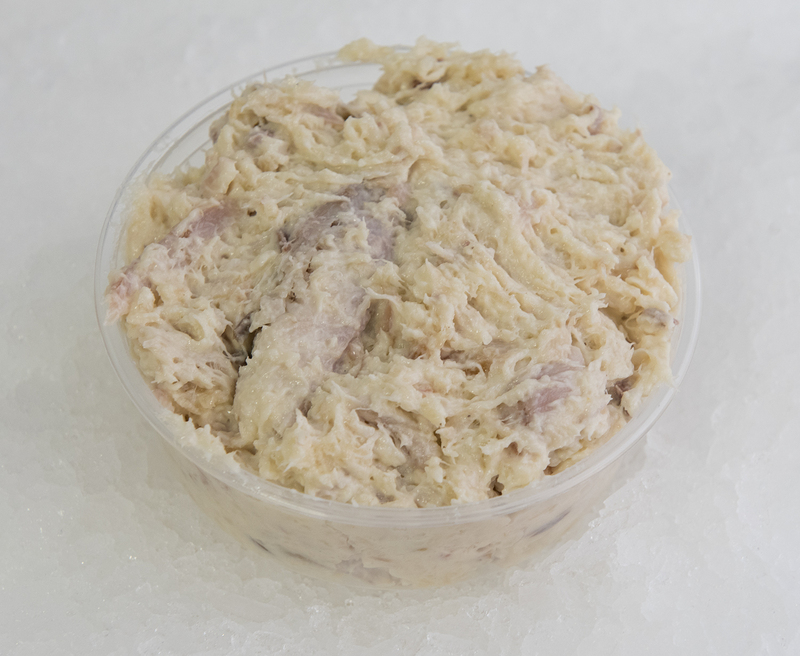 We hand pick the delicate meat and lightly combine with a high-quality natural mayonnaise and a few spices to create a simple, delicious, and traditional whitefish salad. The perfect topping for a bagel, or rye sandwich and is great as a dip with toasted country bread, crackers or tortilla chips.